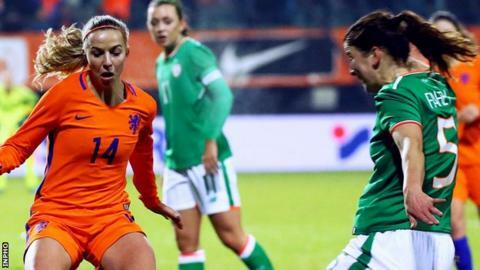 The Netherlands put the Republic under huge pressure but their defence was rock solid as they remained unbeaten in qualifying after wins against Northern Ireland and Slovakia. The result left Colin Bell's side second in table as the Netherlands have a better goal difference. Eight European nations, plus hosts France, will feature in the 24-team World Cup finals from 7 June to 7 July in 2019.